Files with comp file extension are related to the Blackmagic Design Fusion settings data. The comp file extension is associated with the Fusion, a 3D animation and advanced compositing application for Microsoft Windows and Apple Mac OS X (macOS), developed by Blackmagic Design. The comp file contains settings used by Blackmagic Design Fusion. 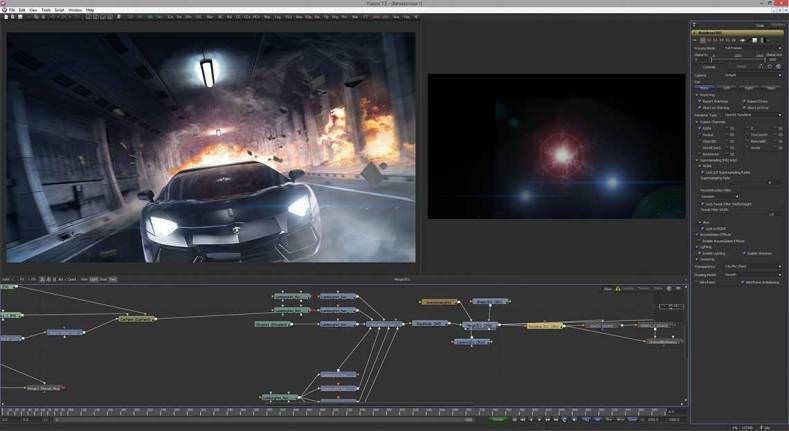 Blackmagic Design Fusion is advanced compositing software for visual effects artists, broadcast and motion graphic designers and 3D animators. Fusion has been used on over 1000 major Hollywood blockbuster feature films. Programs supporting the exension comp on the main platforms Windows, Mac, Linux or mobile. Click on the link to get more information about Blackmagic Design Fusion for settings comp file action.